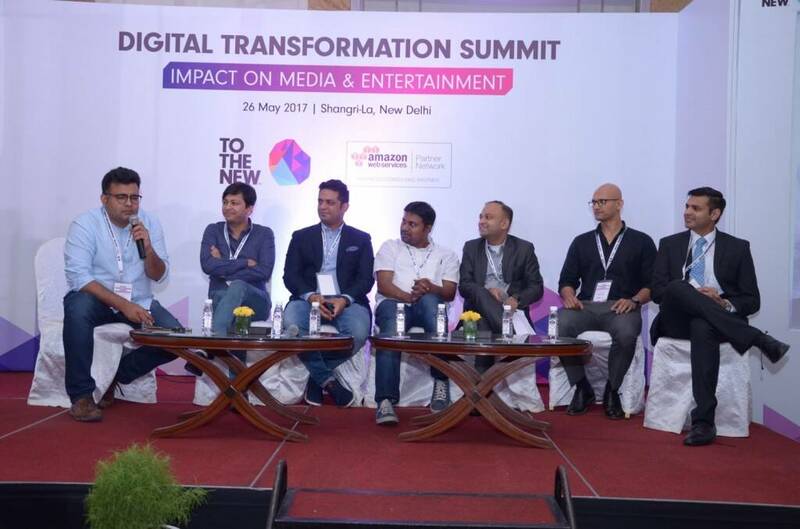 TO THE NEW concluded the “Digital Transformation Summit: Impact on Media & Entertainment Industry” on 26th May 2017 at Shangri-La, New Delhi. 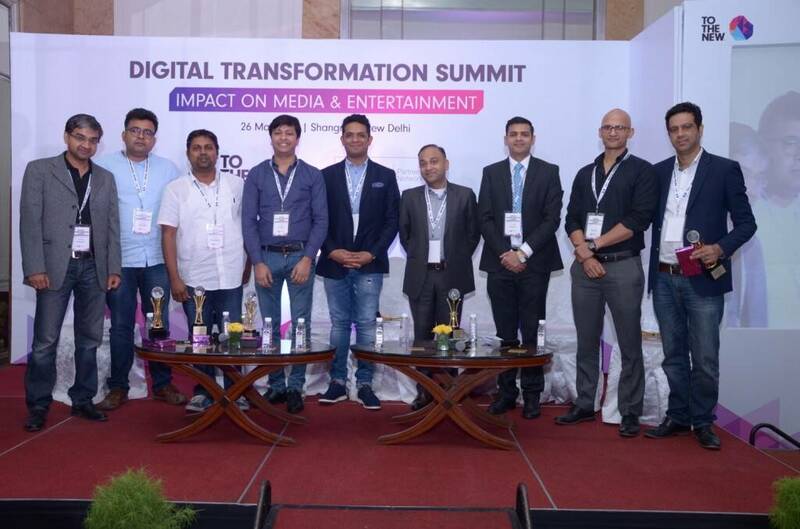 TO THE NEW along with Amazon Web Services organized the event to exclusively focus on digital disruption shaking up the Media and Entertainment (M&E) industry. The event was attended by many top leaders in India, a list that includes eminent CTOs, CIOs, CXOs and media experts from different enterprises. The industry experts highlighted the current scenario of digital disruption led by competitive marketing strategies & adoption of digital channels and technologies. They also discussed the key challenges existing in the ecosystem and their strategic move to counter the same. 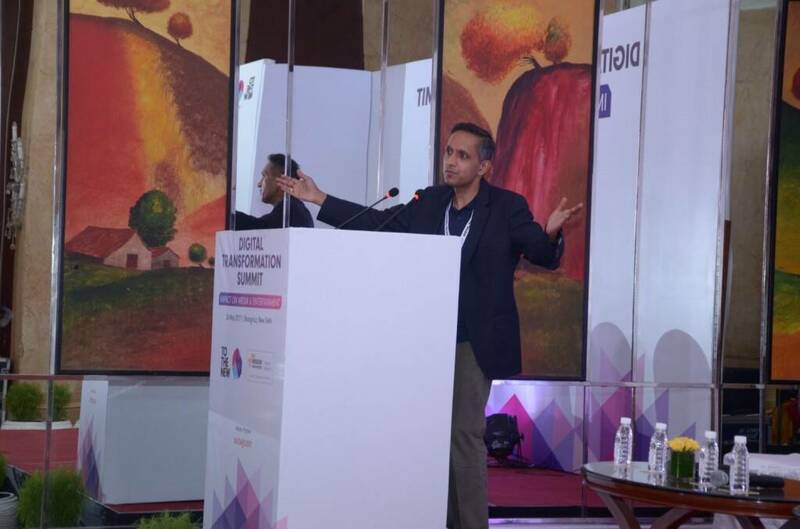 The event started with an exemplary keynote by Dr. Jai Menon, Group Director, Technology, HT Media. Dr. Menon discussed the e2i framework, a paradigm shift in the M&E space from an enterprise style of working to an internet style. He shared his perspective about the kind of digital transformation that is going on right now. He strongly believes that content, communication, commerce & context are driving digital transformation today. It was followed by an engaging talk by Mr. Deepak Khullar from Amazon Web Services on Digital Media Supply Chain, Delivery and Publishing Powered on AWS Cloud. The session helped everyone to understand how media companies can effectively leverage the cloud for better performance, scalability, big data and analytics. Data and Analytics Will Drive Monetization. Sushant Rabra, Director, Management Consulting, KPMG. The discussion was moderated by Mr. Deepak Mittal, Co-Founder & CEO, TO THE NEW, an industry veteran, who engaged the distinguished panelists for an insightful discussion. How is data collected and leveraged for personalizing user experience? What has been the impact of your digital initiatives on your existing business so far and how do you see it going forward? How do you leverage machine learning and artificial intelligence as part of the content creation, distribution & promotion strategy? How do you integrate “user feedback” as part of the product development and improvement process? How do you use data and Analytics to fine-tune your content strategy & ad targeting strategy? What are the different parameters that you use to target content & ads? 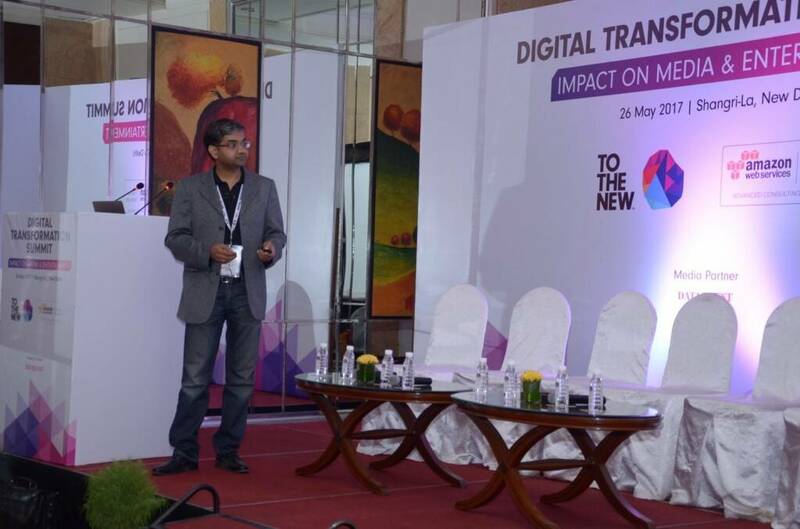 On the whole, the Digital Transformation Summit focused on spearheading digital transformation for M&E industry, its impact, and challenges. It was an insightful evening of knowledge sharing sessions and panel discussion that offered the M&E Industry thought leaders a chance to share their innovations and explore scalable technologies and re-inventing methodologies, to succeed in the highly competitive digital era. Special thanks to the whole TO THE NEW crew who have burned the midnight oil to make this event successful.